Now how could I possibly walk by and not sketch this cute pig ? "Daisy" was fast asleep with her food bowl leaning against her head like a hat. She looked so content. 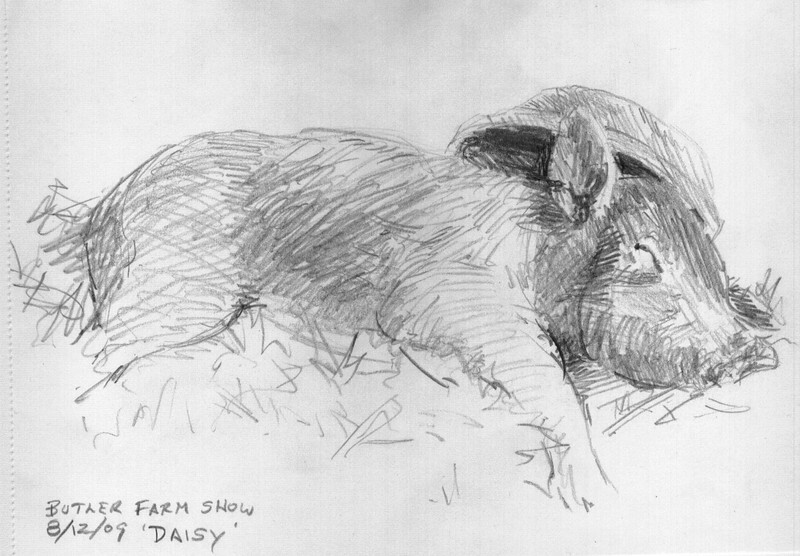 This was a five minute sketch, done in a very 'fragrant' part of the farm show. It all adds to the experience of sketching "Plein Air". Or "Not So Plein Air".